The initiative to send military police officers from the North Caucasus to Syria belonged to the president Vladimir Putin . He told of this during the live Q&A press conference today. The head of state reminded that it is mainly Sunnis who live in the North Caucasus, that’s why the Sunni population of Syria trusts them. “They trust their authority because they are Russia’s servicemen, and the local population, regardless of political preferences, trusts them, because they are Sunnis.” And it turned out well,” Putin said. According to Putin, they are very courageous guys. 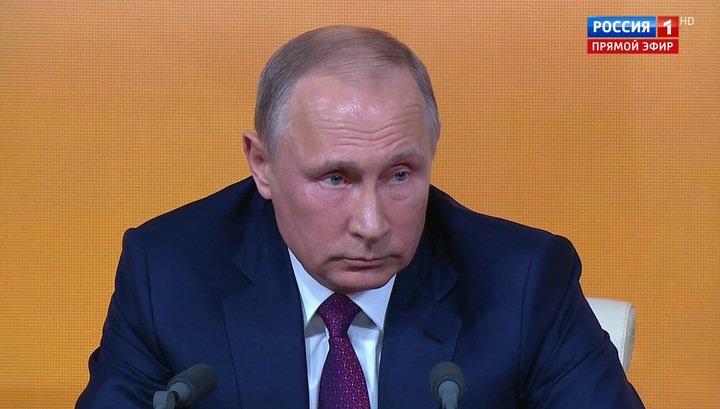 Putin said that they “behaved in a disciplined manner”, felt the responsibility they had, and fulfilled their duty with dignity, representing the interests of Russia. Kadyrov, as leader of the Chechen republic, was instrumental in this initiative and propagated the work of the Republic’s servicemen in Syria widely. Inessa Sinchougova is an Editor and Journalist at Fort Russ News, as well as a research fellow and translator of the Belgrade based think-tank, the Center for Syncretic Studies. She was educated at Victoria University of Wellington (New Zealand), in the field of Political Science and was previously employed in Marketing and Communications Strategy for a Multi-National Corporation. She runs a popular YouTube channel for translations of key Russian Foreign Policy figures and appears regularly on other alternative media channels. If you like her work, you can support her Patreon here.